The colors are honestly my favorite combination ever. So soft and sad. 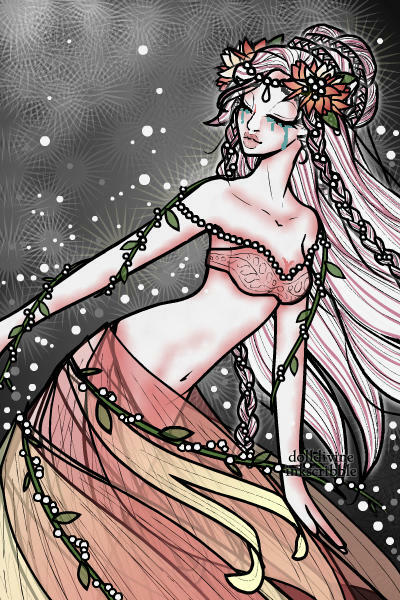 <3 The vines and pearls intertwined are just beautiful. Everything about this is just.... <3 <3 <3 I can't even voice it. how....have i not SEEN this??? this is brilliant!!! Oh my, thank you so much rinxja!! This is the most beautiful thing I've seen in DD. Absolutely gorgeous! Thank you so much Nyrrem!